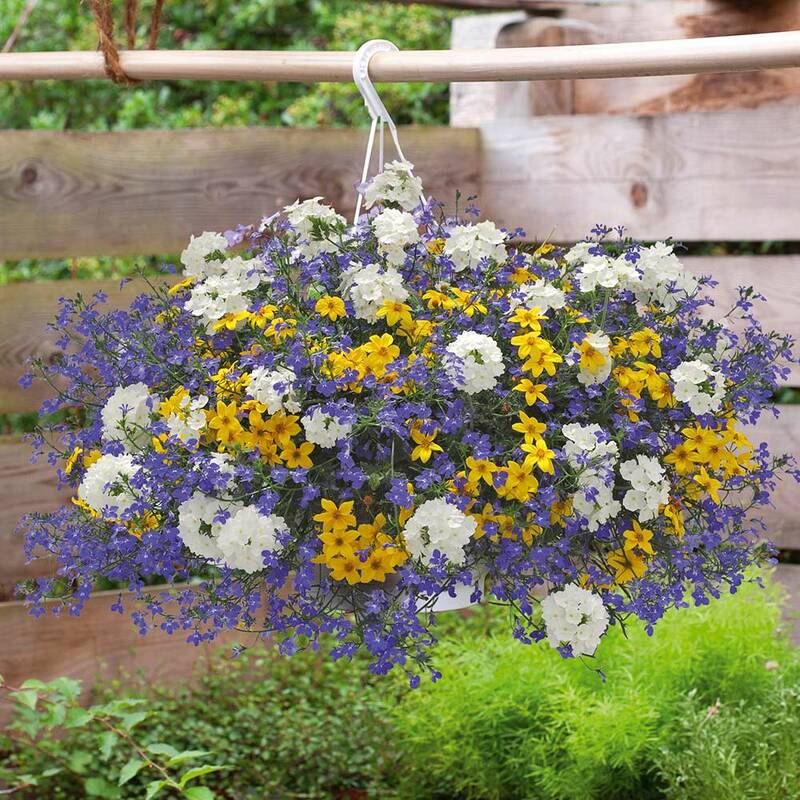 A brilliant idea for gardeners who don't have a lot of time and need a little inspiration. 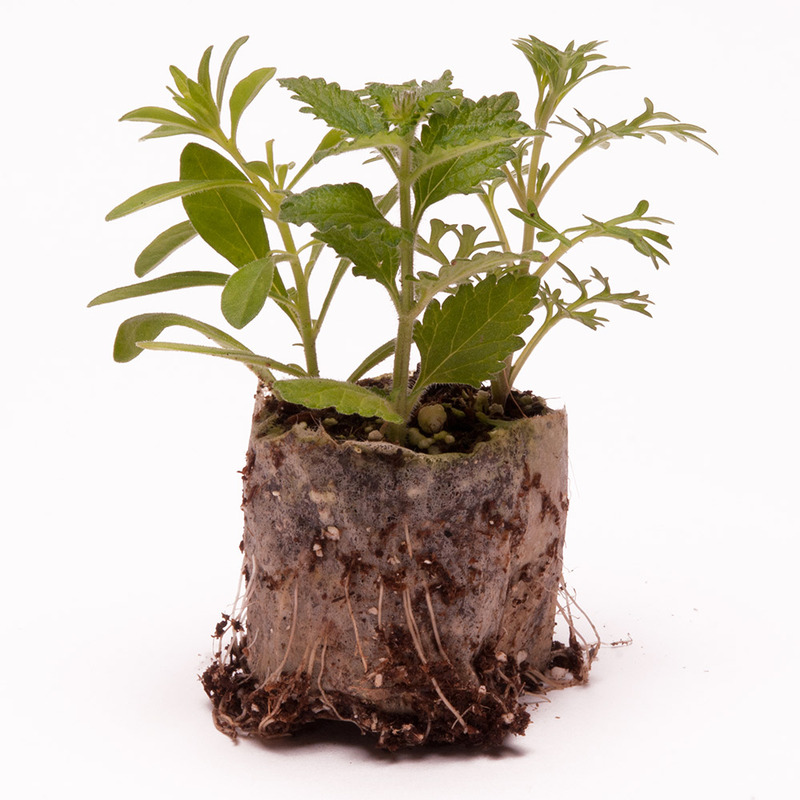 Each of our single plugs contain three carefully selected and complementary pre-planted plants. 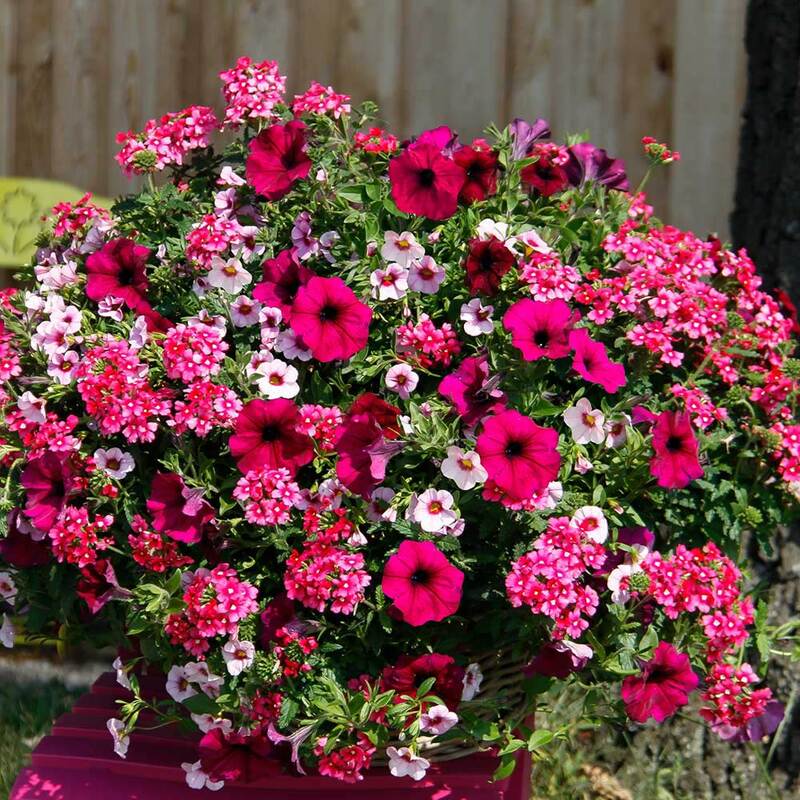 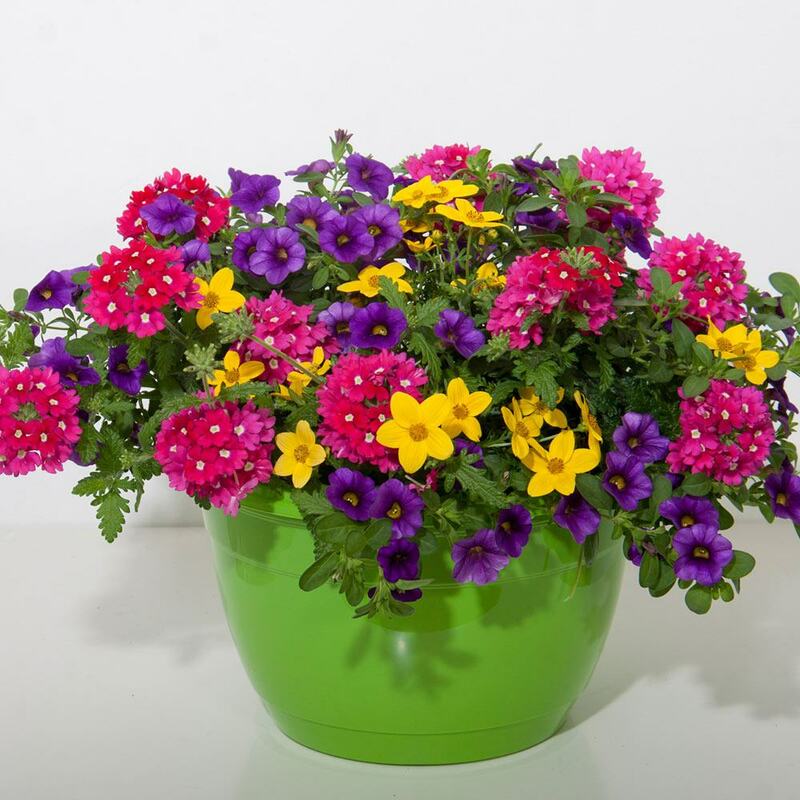 All you need to do is plant one of our plugs in the centre of a 15-30 cm container or basket and sit back and watch the three plants grow around each other. 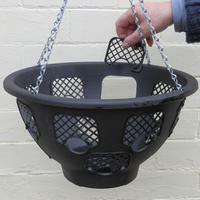 Plant 3 plugs in an even triangle pattern in larger pots and baskets. 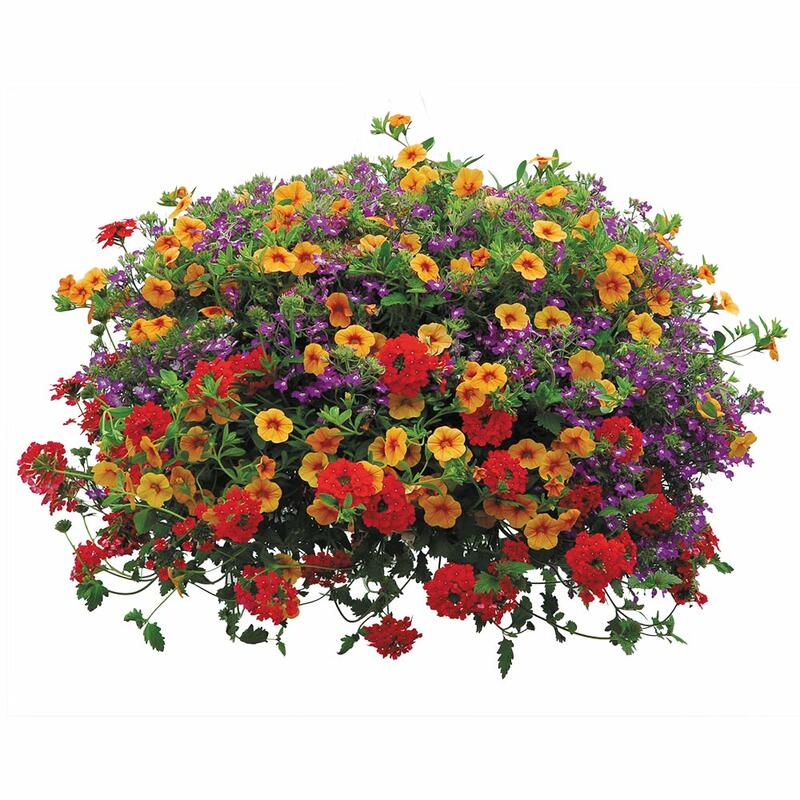 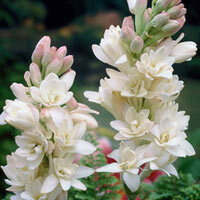 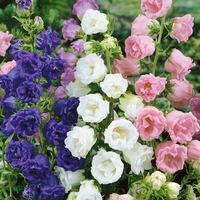 We have chosen five plant combinations to give you five striking garden displays. 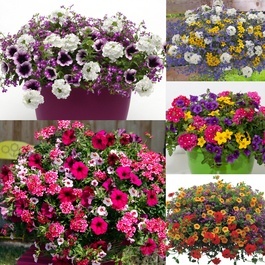 Each pack of five is one each of Treasure Chest (purple/violet/white), Cherry Kiss (pink/purple/rose), Ayres Rock (yellow/purple/scarlet), Crazy Cocktail (yellow/blue/red) and Riverside (yellow/blue/white). Order a pack of 15 for three of each variety. 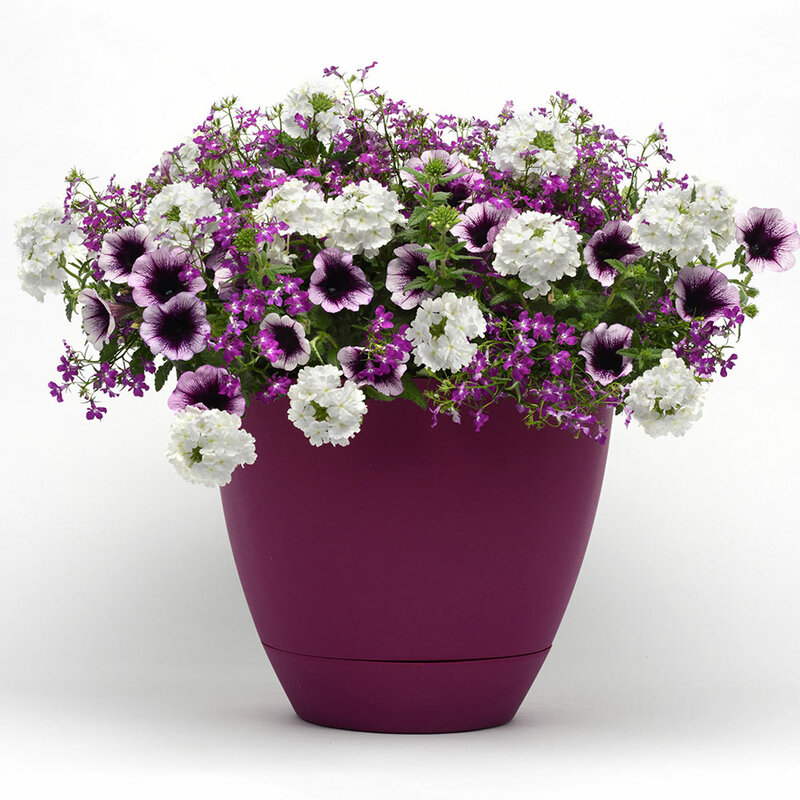 UK grown 3.5cm Trixi plug supplied, three plants in one plug.